Monday, September 26th, 2016, Auburn, AL. Dr. Charles H. "Herb" Shivers retired on 12/31/2011 as deputy director of the Safety and Mission Assurance Directorate at NASA's Marshall Space Flight Center in Huntsville, Alabama. Appointed to the position in 2006, he helped lead an organization of 150 civil service and more than 200 contractor employees responsible for safety, reliability and quality assurance of all Marshall Center programs, projects and institutional services in support of NASA mission goals, including space shuttle, space station, space exploration, and Marshall facility safety and quality activities. He provided technical and managerial guidance associated with related engineering, scientific and program management activities. He served on a special NASA Administrator safety study team in Washington. He was Acting Director of the Directorate during the final three Shuttle missions from March 2011 until the Space Shuttle Program ended in July 2011. At NASA, Dr. Shivers also served as manager of Engineering Programs and Systems; deputy manager of Engineering Systems; deputy group lead in the Configuration and Data Management Group; manager of Safety, Reliability and Quality Assurance; director of Payload Assurance; and system safety engineer in Safety and Mission Assurance. Before joining NASA in 1988, Dr. Shivers worked with the Tennessee Valley Authority (1977-1988) and the US Army (1975-1977) and served with the National Guard (1971-1977). Dr. Shivers earned a BS in Industrial Engineering from Auburn University (1975), an MS in Industrial and Safety Engineering from Texas A&M University (1976), and a PhD in Industrial and Systems Engineering and Engineering Management for the University of Alabama in Huntsville (1997). He is a 1976 graduate of the US Army Safety Engineering Intern Program. He is a licensed Professional Engineer in Alabama and a Certified Safety Professional. He has made presentations on industrial safety, system safety, risk management, and engineering ethics to professional societies and NASA work groups and has published articles in related technical and professional publications. Dr. Shivers was the state president of the Alabama Society of Professional Engineers (ASPE) as well as the president of both its Muscle Shoals and Huntsville chapters. He has been honored with many awards, including the NASA Exceptional Service medal in 2003 and a Marshall Center Director's Commendation in 1993. 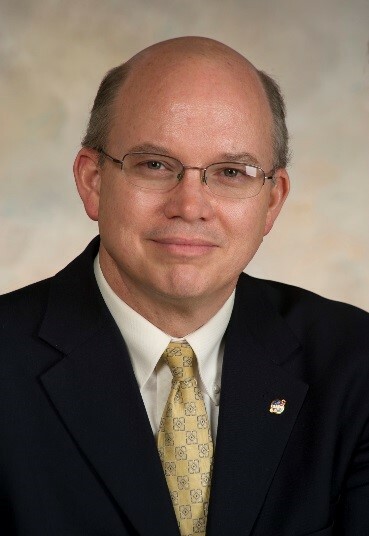 He was named ASPE’s Young Engineer of the Year in 1987; the ASPE Muscle Shoals chapter's Engineer of the Year in 1988; the Alabama Professional Engineer of the Year in Government in 1989; the ASPE Huntsville chapter's Engineer of the Year in 1994; and the International System Safety Society’s Manager of the Year in 2004. In 2007, he received the Auburn University Industrial and Systems Engineering Department's Outstanding Alumnus Award as well as the University of Alabama in Huntsville (UAH) Alumni Association's Alumni of Achievement Award. Dr. Shivers is a professor in UAB’s Master of Engineering track in Advanced Safety Engineering and Management for which track he also serves as associate director. He was retained by BioEchoes, Inc. to develop courses for that track. Dr. Shivers is also a member of the UAB Graduate Faculty and previously taught at UAH and the University of Tennessee at Chattanooga. Dr. Shivers has provided engineering consulting services for Bastion Technologies, Inc. at Marshall Space Flight Center, for John R. Spencer, Attorney at Law, Mobile, AL, and currently for Alphaport, Inc. of Cleveland, Ohio. A native of Alexander City, Alabama, Dr. Shivers and his wife, Alisa, live in Auburn. More details on this mini-tutorial can be found here. Craig McArthur is the Manager for the Performance and Capabilities Management Office in the Office of Strategic Analysis and Communications at NASA’s Marshall Space Flight Center in Huntsville, Ala. He is responsible for budget and program analysis as well as the governance for the Marshall Center. The Marshall Center is one of NASA's largest field installations, with nearly 6,000 on- and near-site civil service and contractor employees -- including those at NASA's Michoud Assembly Facility in New Orleans -- and an annual budget of approximately $2.5 billion. 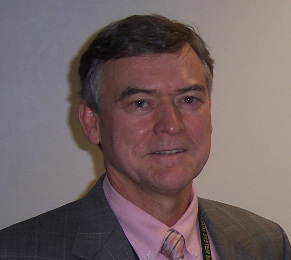 Prior to his current assignment, Mr. McArthur served as the Business Manager for the Safety and Mission Assurance Directorate responsible for all Directorate resources. He began his NASA career in 1989 as an engineer at NASA’s Glenn Research Center, developing air-breathing propulsion systems for advanced applications. He became the Glenn resident manager to the Marshall Center in 1996 and transferred to Marshall in 1999. Since then, he has served in a variety of leadership positions, including: Ares V Core Stage Manager; Ares I Upper Stage Element Manager; and, Space Launch System Spacecraft and Payload Integration Deputy Manager. He earned his bachelor degree and also his master’s degree in aerospace engineering from North Carolina State University in Raleigh, North Carolina. Mr. McArthur and his wife, Jennifer, have two sons, Ryan and Chris, and a daughter, Kate.